John Clifford Brian Gysin was born at Taplow House, England, a Canadian military hospital. His mother, Stella Margaret Martin, was a Canadian from Deseronto, Ontario. His father, Leonard Gysin, a captain with the Canadian Expeditionary Force, was killed in action eight months after his son’s birth. Stella returned to Canada and settled in Edmonton, Alberta where her son became “the only Catholic day-boy at an Anglican boarding school.” Graduating at fifteen, Gysin was sent to Downside in Bristol, England, a prestigious college known as “the Eton of Catholic public schools” run by the Benedictines. 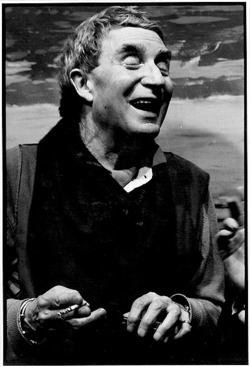 After serving in the U.S. army during World War II, Gysin published a biography of Josiah “Uncle Tom” Henson titled, To Master a Long Goodnight: The History of Slavery in Canada (1946). A gifted draughtsman, he took an 18-month course in Japanese language studies and calligraphy that would greatly influence his artwork. In 1949, he was among the first Fulbright Fellows. His goal: to research the history of slavery at the University of Bordeaux and in the Archivos de India in Seville, Spain, a project that he later abandoned. He moved to Tangier, Morocco after visiting the city with novelist and composer Paul Bowles in 1950. 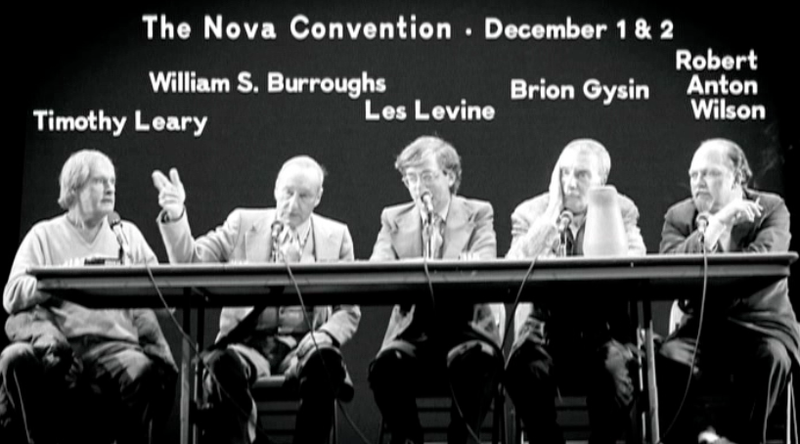 William Burroughs and I first went into techniques of writing, together, back in room No. 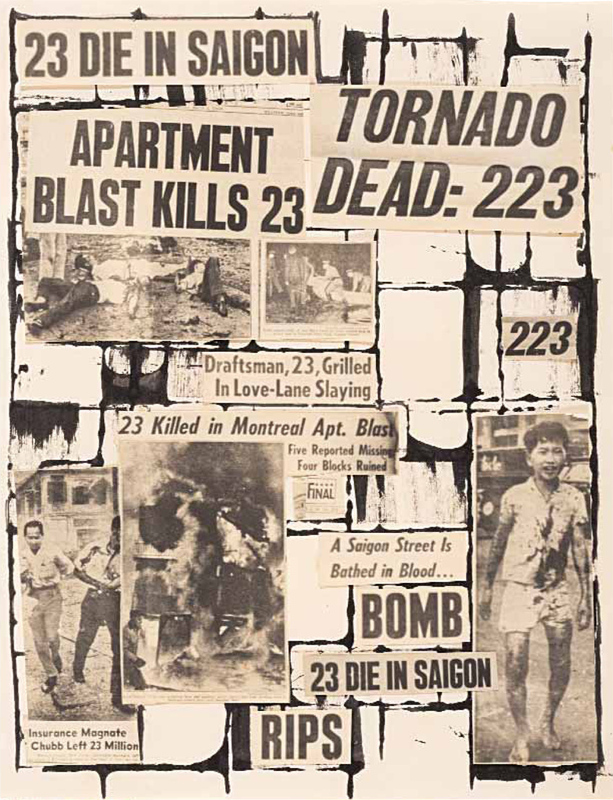 15 of the Beat Hotel during the cold Paris spring of 1958… Burroughs was more intent on Scotch-taping his photos together into one great continuum on the wall, where scenes faded and slipped into one another, than occupied with editing the monster manuscript… Naked Lunch appeared and Burroughs disappeare. He kicked his habit with apomorphine and flew off to London to see Dr Dent, who had first turned him on to the cure. While cutting a mount for a drawing in room No. 15, I sliced through a pile of newspapers with my Stanley blade and thought of what I had said to Burroughs some six months earlier about the necessity for turning painters’ techniques directly into writing. I picked up the raw words and began to piece together texts that later appeared as “First Cut-Ups” in Minutes to Go. 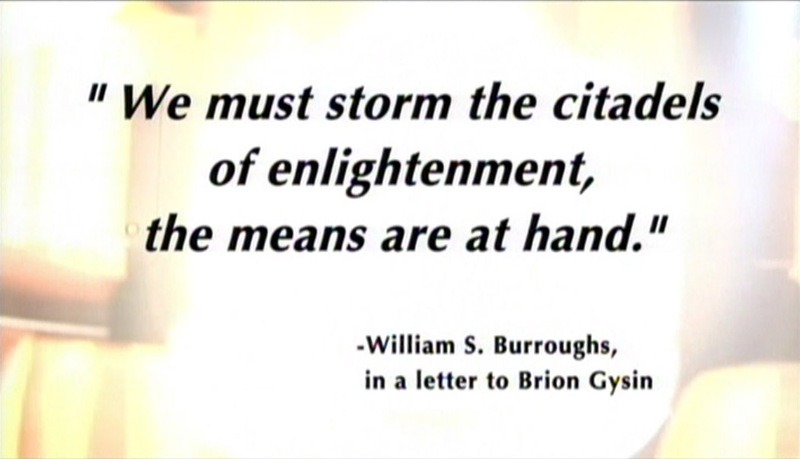 A consummate innovator, Gysin altered the cut-up technique to produce what he called permutation poems in which a single phrase was repeated several times with the words rearranged in a different order with each reiteration. An example of this is “I don’t dig work, man/Man, work I don’t dig.” Many of these permutations were derived using a random sequence generator in an early computer program written by Ian Sommerville. Commissioned by the BBC in 1960 to produce material for broadcast, Gysin’s results included “Pistol Poem”, which was created by recording a gun firing at different distances and then splicing the sounds. That year, the piece was subsequently used as a theme for the Paris performance of Le Domaine Poetique, a showcase for experimental works by people like Gysin, François Dufrêne, Bernard Heidsieck, and Henri Chopin. 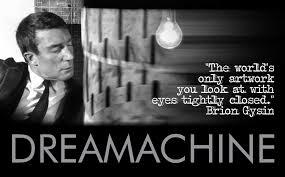 With Sommerville, he built the Dreamachine in 1961. Described as “the first art object to be seen with the eyes closed”, the flicker device uses alpha waves in the 8-16 Hz range to produce a change of consciousness in receptive viewers. He also worked extensively with noted jazz soprano saxophonist Steve Lacy. As a joke, Gysin contributed a recipe for marijuana fudge to a cookbook by Alice B. Toklas; it was unintentionally included for publication, becoming famous under the name Alice B. Toklas brownies. A heavily edited version of his novel, The Last Museum, was published posthumously in 1986 by Faber & Faber (London) and by Grove Press (New York). INTERVIEWER: How did you become interested in the cut-up technique? 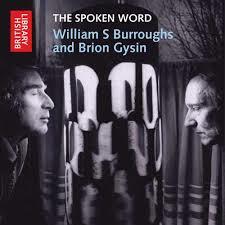 BURROUGHS: A friend, Brion Gysin, an American poet and painter, who has lived in Europe for thirty years, was, as far as I know, the first to create cut-ups. His cut-up poem, Minutes to Go, was broadcast by the BBC and later published in a pamphlet. I was in Paris in the summer of 1960; this was after the publication there of Naked Lunch. I became interested in the possibilities of this technique, and I began experimenting myself. Of course, when you think of it, The Waste Land was the first great cut-up collage, and Tristan Tzara had done a bit along the same lines. Dos Passos used the same idea in ‘The Camera Eye’ sequences in USA. I felt I had been working toward the same goal; thus it was a major revelation to me when I actually saw it being done. 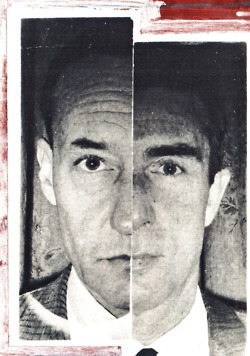 Gysin’s wide range of radical ideas became a source of inspiration for Beat Generation artists and their successors such as David Bowie, Keith Haring, Brian Jones, Mick Jagger, Genesis P-Orridge, Iggy Pop, Laurie Anderson, Malay Roy Choudhury, and Into A Circle. I’m sorry I missed the show of his work last year in NY. Why it didnt tour I will never know. He has always been a huge inspiration and the CD they put together is awesome.